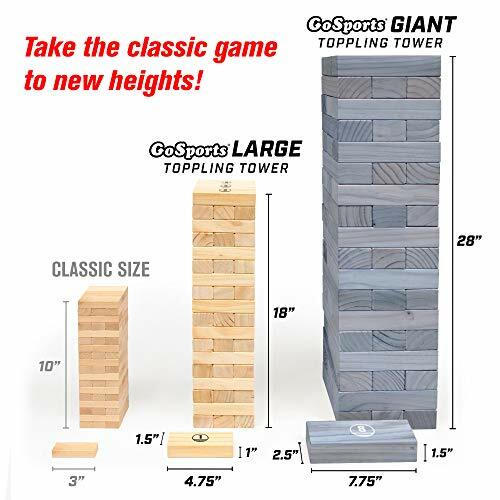 The GoSports giant toppling Tower is a giant version of one of America's favorite party games. The set is made out of giant size Pine wood blocks with smooth sanded edges. The Tower starts out at 2.5 ft tall and can grow to over 5 ft during games. The object is to pull blocks out of the body of the tower and replace them at the top without the tower falling over. As an added bonus, our set includes printed numbers on the bottoms of some of the blocks with a corresponding custom rules sheet. These numbers correspond with a special set of rules that make the game even more fun! For example, you may pull a block and then see it has the #6 printed on the bottom and this would mean you follow the # 6 rule which can be anything you want (skip your next turn / reverse order / draw another block / etc). The rules sheet is a dry-erase board so you can create your own rules. You can make the rules adult themed or even goofier. 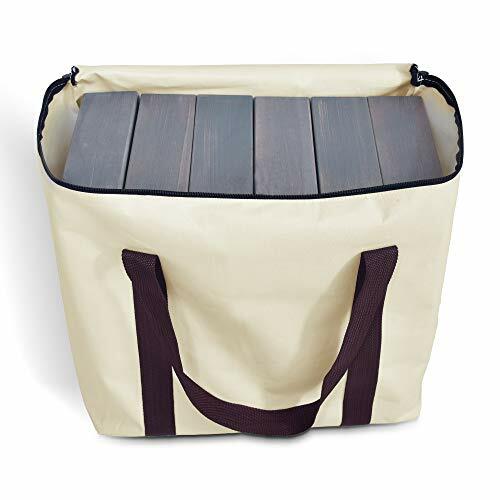 The game includes a robust canvas carrying case so you can neatly store the set or bring it with you anywhere. 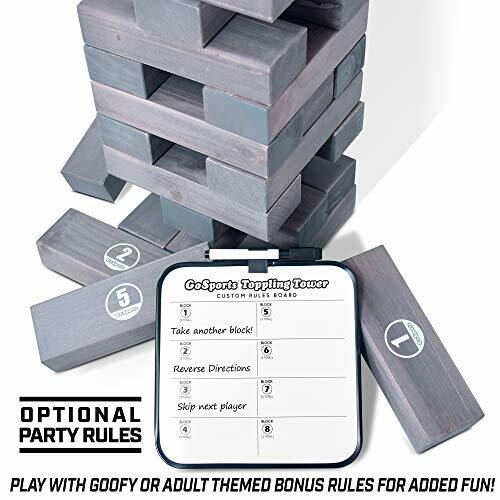 This is by far the best giant toppling tower game available and comes with a 100% satisfaction guarantee.